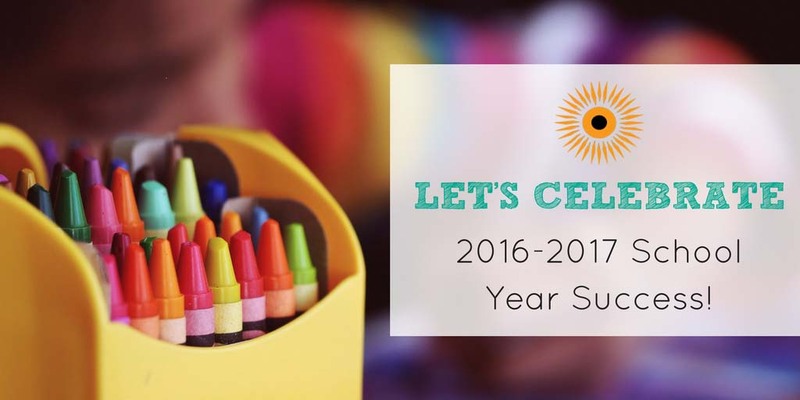 Let’s Celebrate 2016/2017 School Year Success! During the 2016/2017 school year, School on Wheels served 379 students experiencing homelessness and provided 6,221 hours  of one-on-one tutoring! We couldn’t have done this without the 429 volunteer tutors who dedicated their time to our students and our mission! We also served  217 parents  through 2,379 parent and teacher sessions – including workshops, parent meetings, communication with teachers and more – in order to equip them with the tools necessary to be the best advocates for their child’s education. It was truly amazing to dig so deep with the parents of the children in our program. When we help parents, we help our students, which was evident when we evaluated grades and survey data. During the 2016/2017 school year, School on Wheels students achieved the following outstanding results! *Maintained grades were only counted at a grade of C- or higher. While we are proud of the academic achievements of our students, we are equally proud of the survey results we received from our families. 95%  of parents have seen an improvement in their child’s attitude toward school since working with School on Wheels. 98% of parents report they’ve seen an improvement in their child’s confidence after participating in tutoring. 96% of students reported that tutoring was a positive experience. While positive surveys are great, quotes directly from kids and parents are what truly encourage us each day. Please take a moment to join us in celebrating these accomplishments! Education is a key tool in breaking the cycle of homelessness. Thank you to our donors and volunteers for their investment in our city by helping us equip those who need it most with the academic tools needed to succeed. Want to be involved in making the 2017/2018 school year a success? We are accepting tutor applications for ALL times & locations! Apply now!